There's some real magic in this disc. His brilliant, glittering, delicate playing adds an icy edge of enchantment and clarity to pieces that are already enchanting in their own right. 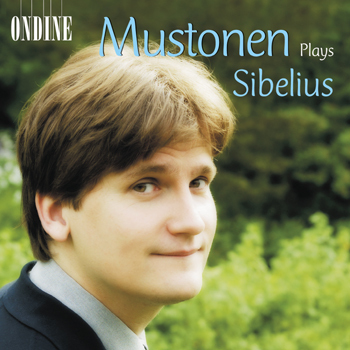 (...) One feels that Mustonen understands Sibelius' imagination from the inside; outside, his touch gleams with the otherworldly incandescence of frost patterns in the sunlight. No performance I have heard do more to challenge the assumption that Sibelius's piano music is inherently unpianistic. Accordingly, and with the proviso that these are highly personal interpretations, this is a CD that can be warmly welcomed, the more so that the recording quality is so clear and lifelike (...). Championing Sibelius and his piano music is a great venture of high class. (...) It is a pure joy to follow Mustonen on this path. Since Glenn Gould (...) precious few pianists have accepted to champion these bagatelles, rondinos and other miniature pieces. (...) This recording wets the appetite for more Sibelius from the perspective of a pianist, who, himself a composer, approaches the works of his great, elder collegue with a creative freedom. This CD is the first fruit of Olli Mustonen's recording collaboration wih Ondine. This solo recording features the exceptional Finnish pianist with the most ambitious achievements of Jean Sibelius's piano music, a body of lovely and rarely-played miniatures which still await discovery.